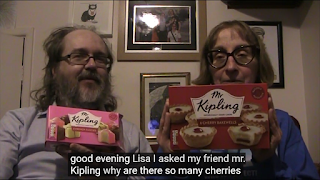 The random jottings of Lisa and Andrew of the 'Round The Archives' blog. Easter's a bit late this week on the 'Round The Archives' sofa. Last night we recorded our video about the 'Are You Being Served' episode 'The Apartment' and although the link may not seen obvious at first, Lisa was lucky enough to win a egg in the raffle at work, so we waved it in front of the camera. We haven't eaten it yet, though! 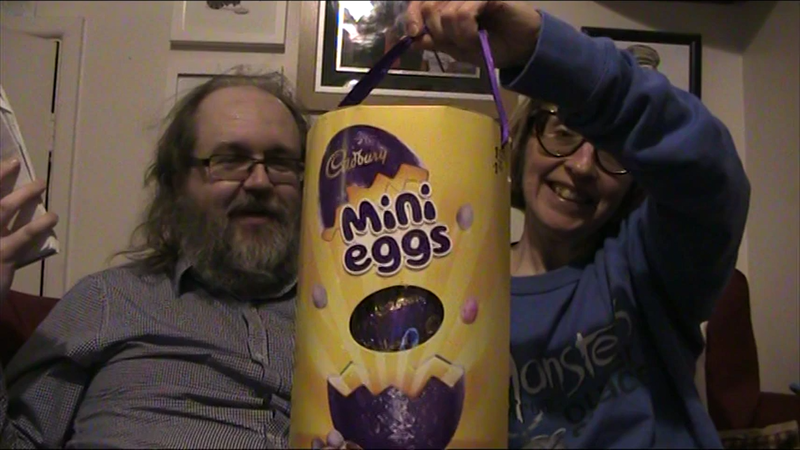 But we did do some live egg-testing on the evening of Sunday when we recorded some material for this month's live edition of 'The Shy Life Podcast'. We thought this half hour or so would be all we'd need to do for this edition, bar our usual surreal heckling in the chatroom, but when Paul found that the live stream didn't seem to be working there was some quick thinking needed. Working with Paul over the years has taught us that technical problems often lead to some interesting solutions. If your co-stars fingers all fall off in the middle of a scene, go with it and use it as a new plotline. 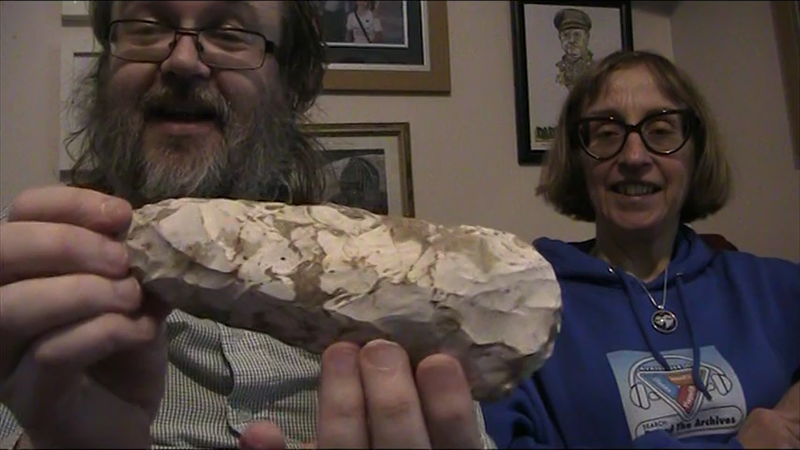 So we were very happy to be asked to be part of a three-way Skype call that included Toppie Smellie (host of 'The Smellcast') in America. The show didn't always cover the ground that Paul had planned, but a bit of improvisation is good for the soul. Episode 246 of 'The Shy Life Podcast' can be heard here. 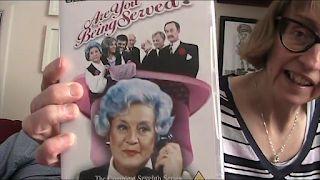 And our video about 'Are You Being Served - The Apartment' can be seen here. Last night Paul had scheduled this month's live edition of 'The Shy Life Podcast' and we were keen to help out if at all possible. Usually we do a short bit of pre-recording, then contribute to the chatroom when the episode actually starts. However, some unexpected technical issues meant that it didn't quite go as planned. 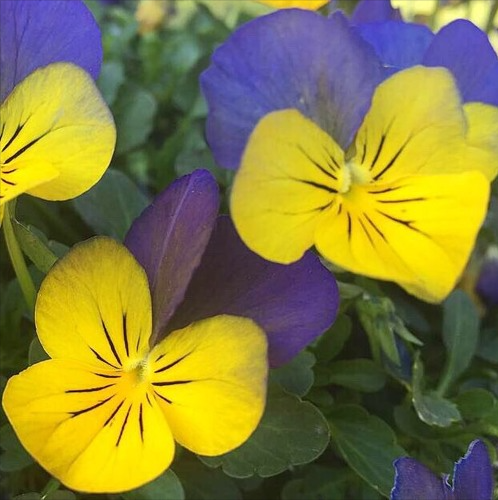 But one thing that working with Paul has taught us is that if something goes wrong, you should use the situation as much as possible. It'll be interesting to see how this one comes together in the edit, but it turned to out be really rather fun to do. A bit of quick thinking certainly seemed to pay off in this case. But amid all this activity, we've managed to do four videos in four days, including 'Come Back Mrs Noah', as we said in the last blog post. Our video about 'Are You Being Served - Strong Stuff This Insurance' can be seen here. Our video about 'Blake's 7 - Redemption' can be seen here. 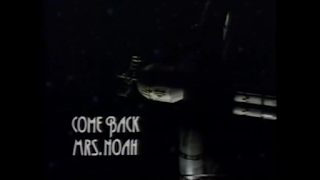 Our video about the first two episodes of 'Come Back Mrs Noah' can be seen here. And our look at Episode Two of 'Doctor Who - The Claws Of Axos' can be seen here. Warren made a very welcome return to the 'Round The Archives' sofa at the weekend, and a good time was had by all. With the help of Julian Clary, we ended up shipwrecked on a desert island as we enjoyed some 'Sticky Moments'. Topics covered included rude huts, getting your nuts on the floor and the state of Doctor Who's dentures, so this episode was a real gift for fans of 'RTA'-style innuendo. Also, we've seen the arrival of Alfie Bass in 'Are You Being Served - The Junior' and the legendary Pigbin Josh in 'Doctor Who - The Claws Of Axos', which gave Lisa another excuse to put her unusual T-shirt on. 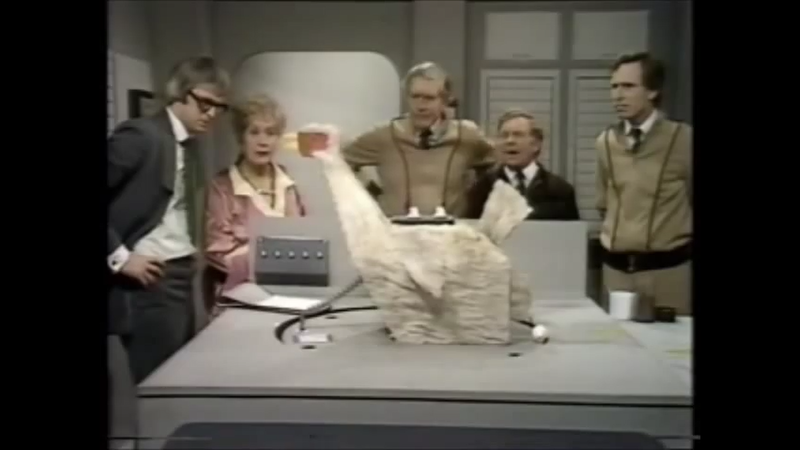 Our video about 'Are You Being Served - The Junior' can be seen here. And our look at Episode One of 'Doctor Who - The Claws Of Axos' can be seen here. With our journey through 'Are You Being Served?' reaching the 1978 Christmas Special, we bid farewell to Mr Tebbs, so we thought we ought to mark this moment by getting our Mr Kipling's cakes (also favoured by Arthur Lowe) out. 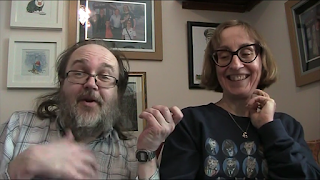 We also plucked up our courage and finaly did something on that wonderful series 'The Mind Of Mr J G Reeder', which we've only shied away from because we were afraid of not doing it justice. 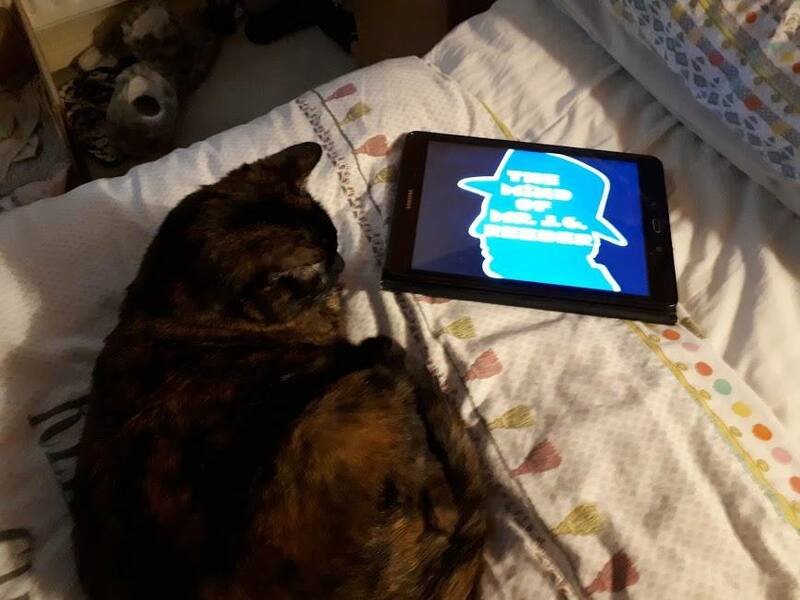 Even Rose Cat is fascinated by it - if only the colour version of the title sequence. The episode we picked was 'The Poetical Policeman' as Hugh Burden (not Hugh Channing and certainly not Hugh Janus!) 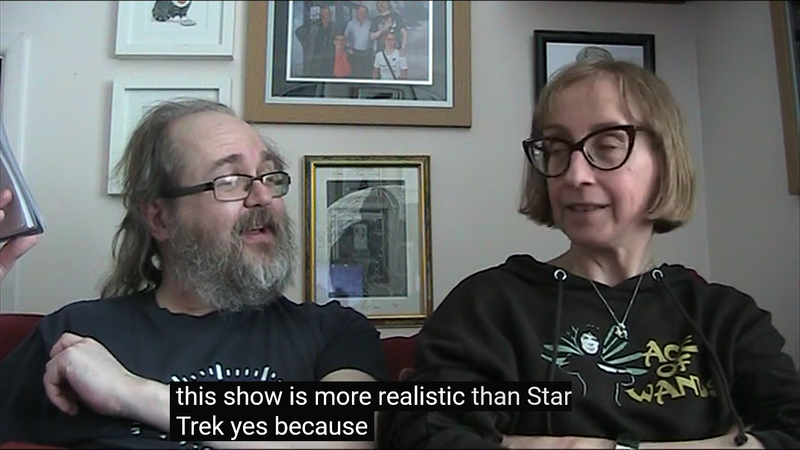 not only stars, but adapted it for the telly too! Our video on 'Are You Being Served - Happy Returns' can be seen here. Our look at 'The Mind Of Mr J G Reeder - The Poetical Policeman' can be seen here. And our piece on 'Doctor Who - Spearhead From Space' Episode 4 can be seen here. Episode 34 of 'Round The Archives' sees Martin exploring the varied worlds of George Kitchener Bulman, then Andy Priestner takes a look at 'Fingerbobs'. 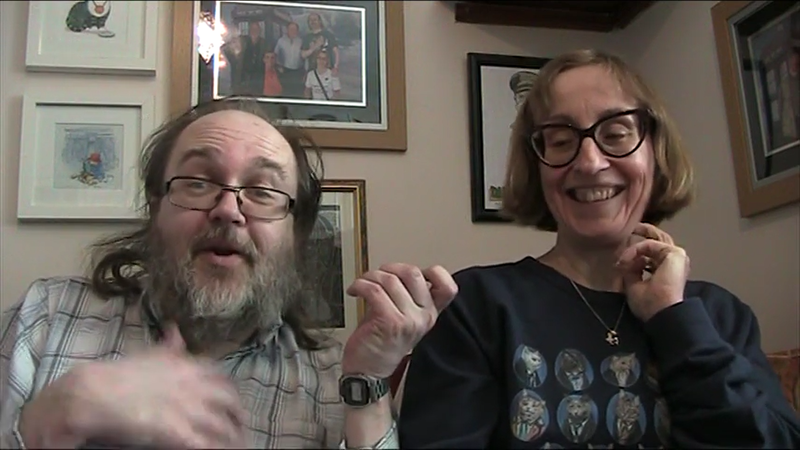 Paul and Nick review two episodes of the Diana Dors series 'Queenie's Castle' and Andy P joins us for a chat on the sofa. Next, we travel to Amsterdam in the 1970s where 'Van der Valk' is investigating a 'Destroying Angel' and to round off, Paul and Nick are joined by Andy Ching to talk about one of Shane Rimmer's appearances in 'Tales Of The Unexpected'. 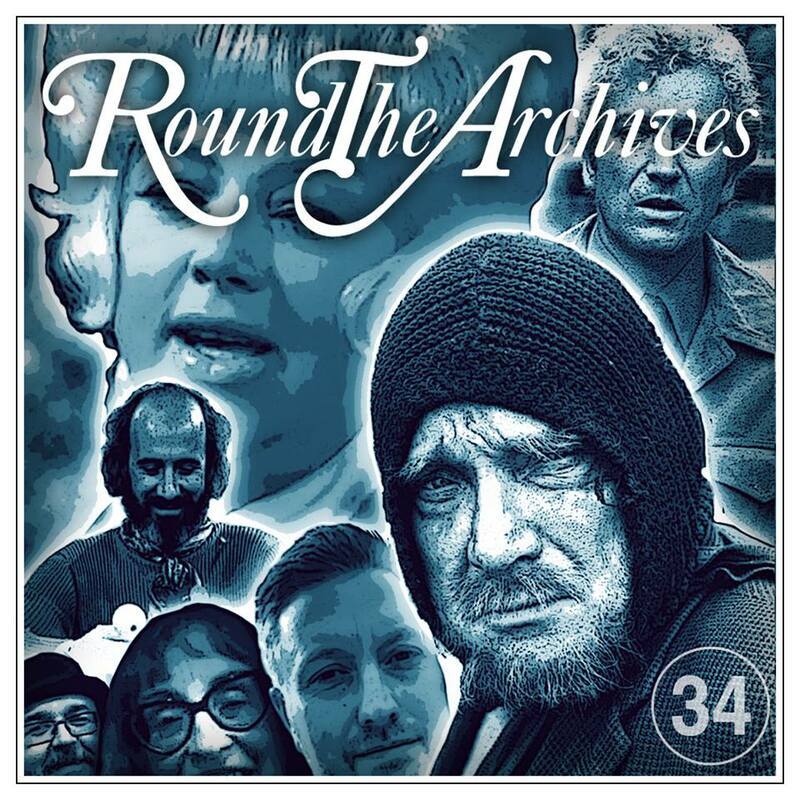 Episode 34 of 'Round The Archives' can be heard here. Paul's taken 'The Shy Life Podcast' out on the road again recently. Actually he's take it out on the canal, as it involved a trip to Venice. Which makes it even more remarkable that he's managed to release three episodes in less than a week. We've done a fair bit of recording for it, not all of which we've heard back yet, so here's a summary of what's been happening at Yeti Towers. 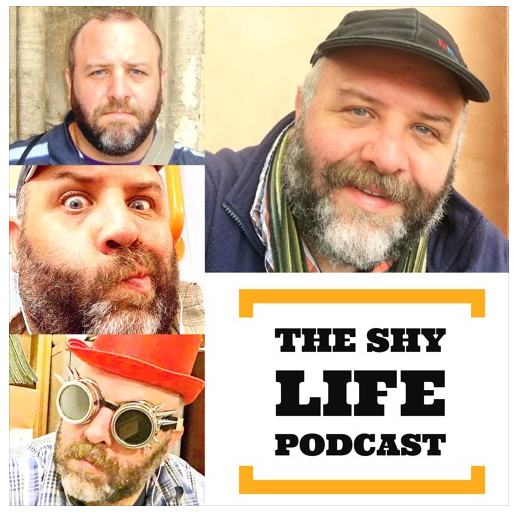 Episode 237 of 'The Shy Life Podcast' can be heard here and is the Live Show for March. These are very interactive affairs, with everyone in the chatroom being able to influence the show. In fact, the odder the stuff people can come up with on the night, the better. And blimey, it can get very odd at times. Look out for the next one and feel free to get involved in April's strangeness! Episode 238 can be heard here and goes by the subtitle of 'Tales Of Randomness And Nostalgia'. 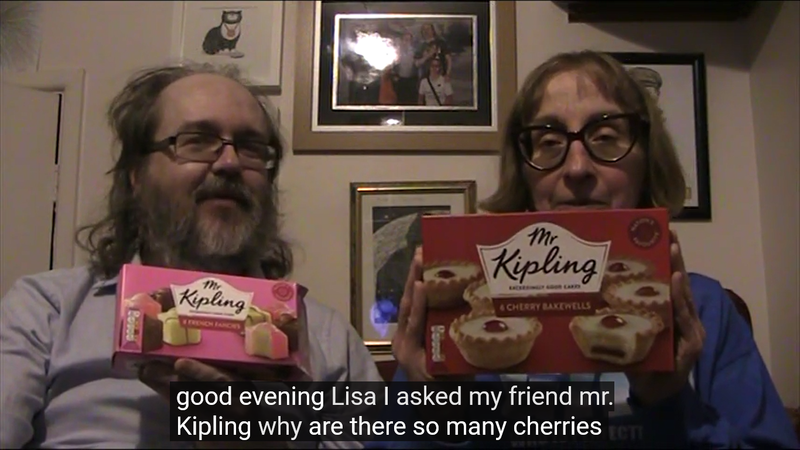 We answer all sorts of Random Questions and Nick & Paul remember all the filming we did in 1994, which was a very busy year in front of and behind the camera. Though it's frightening to think that it was 25 years ago! You certainly haven't heard the last of it! It's only a few weeks ago that we were watching Brian Blessed in 'Blakes 7', so it was lovely to be able to see his one-man show in Poole the other evening. Our ears might still be ringing from the traditional opening bellow of "GORDON'S ALIVE!!!" but these effects should pass with time. 'Deliverance' sees the start of a sort-of two-parter as we get of first mention of the mysterious Orac and Avon gets to meet a lady in her flimsies who think's he's a god of some sort. We get the feeling that this plotline went down well with at least one of the regular cast, although Jenna gets a pretty raw deal when she's grabbed by a load of hairy men who take every opportunity to get their rocks out. 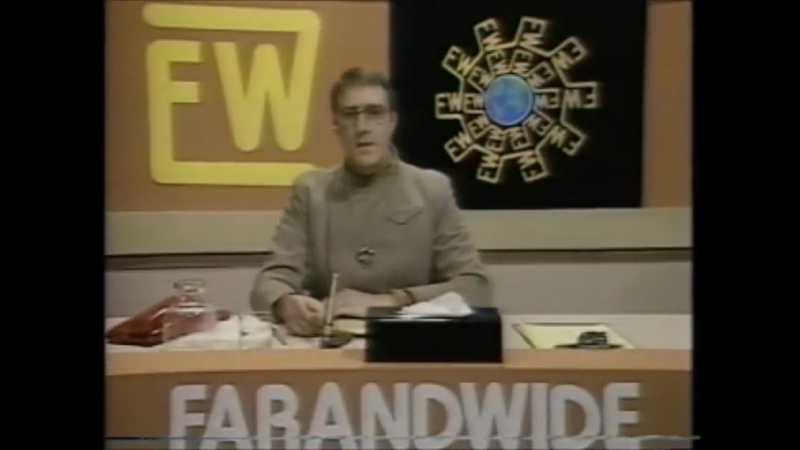 Meanwhile in Pertwee-land the obvious-when-you-think about it pseudonym of 'Ivan Orton' allowed me to do a bit of plucking of an imaginary ukulele with a brief silly song which may ring a few bells with followers of one Ivor Biggun. 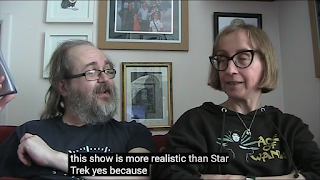 Our video about 'Blakes 7 : Deliverance' can be seen here. 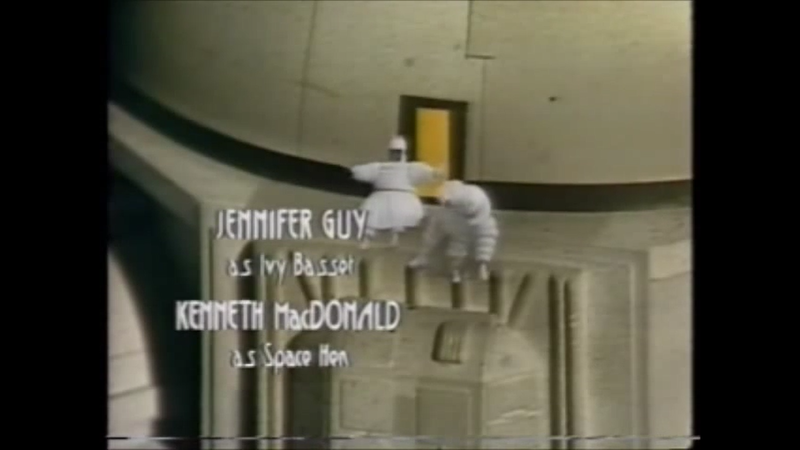 And our video about Episode 2 of 'Doctor Who : Spearhead From Space' can be seen here.